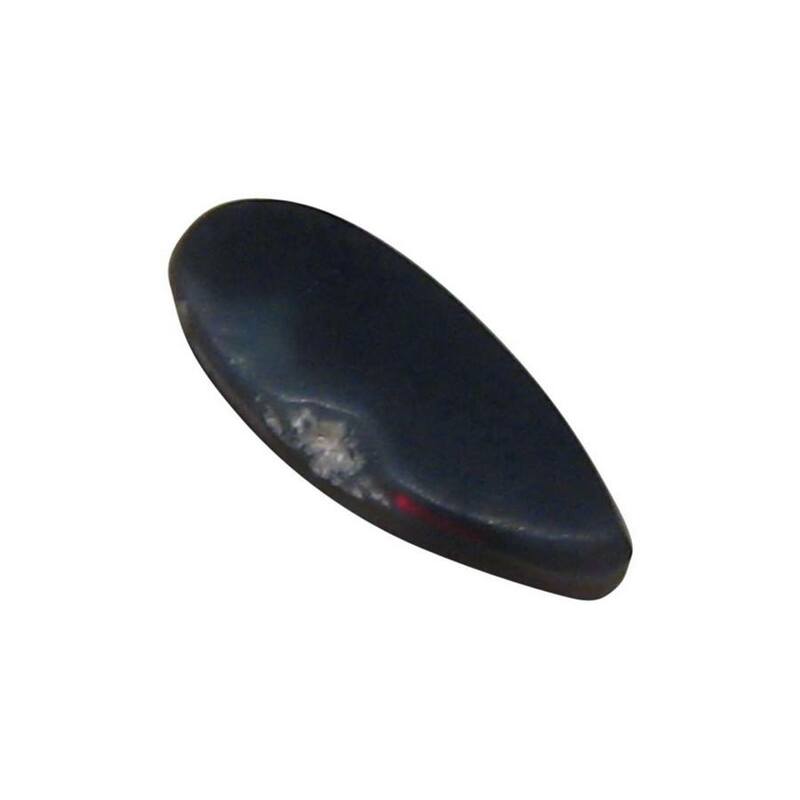 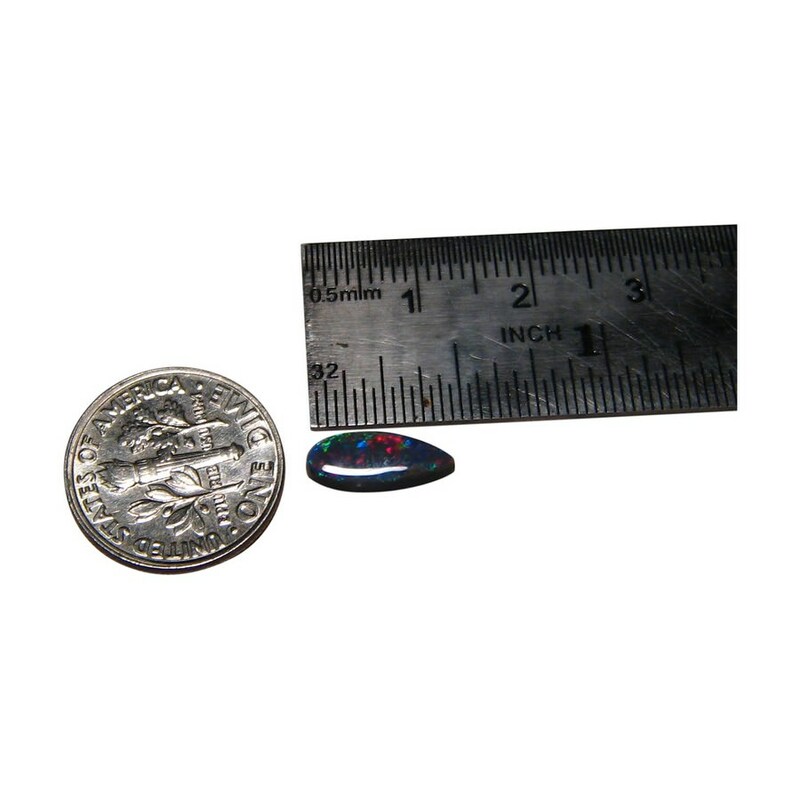 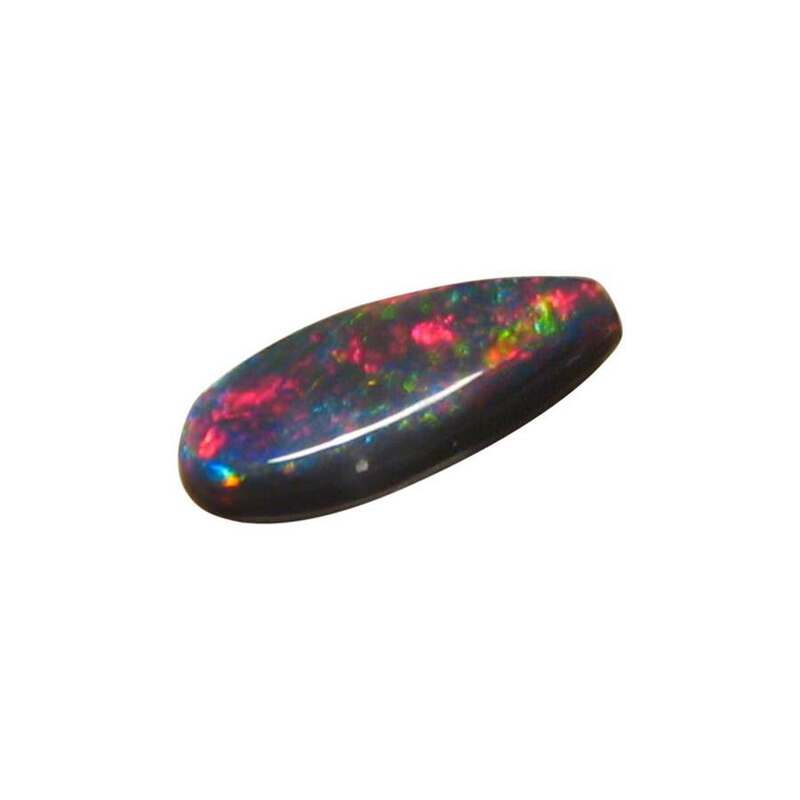 A natural Black Opal Stone with an N2 body tone showing Red with some Blue. 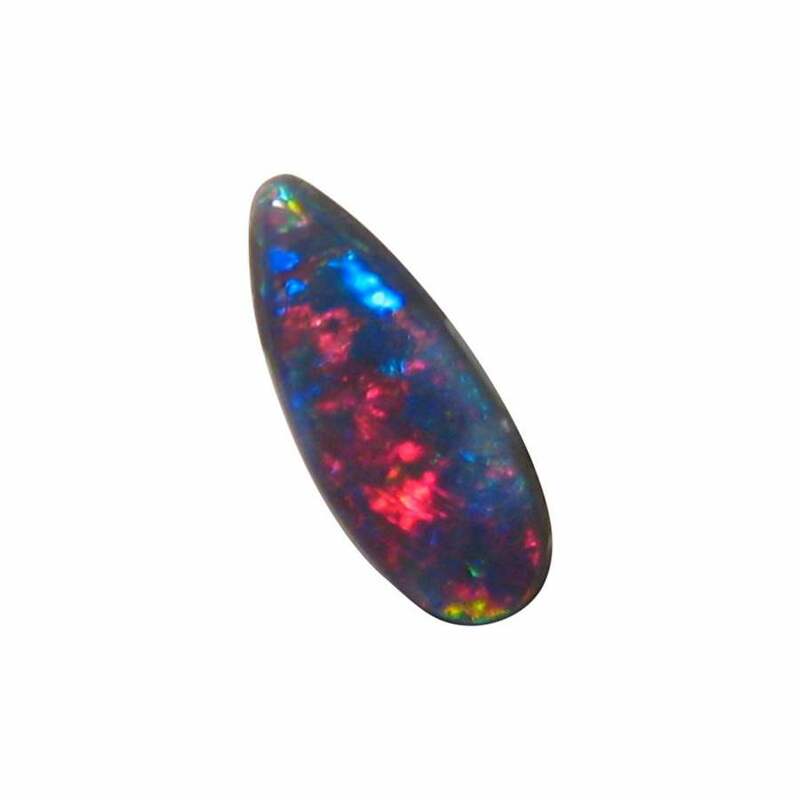 An unset Black Opal mined at Lightning Ridge that is cut to a long tear drop shape with a finished weight of 1.2 carats. 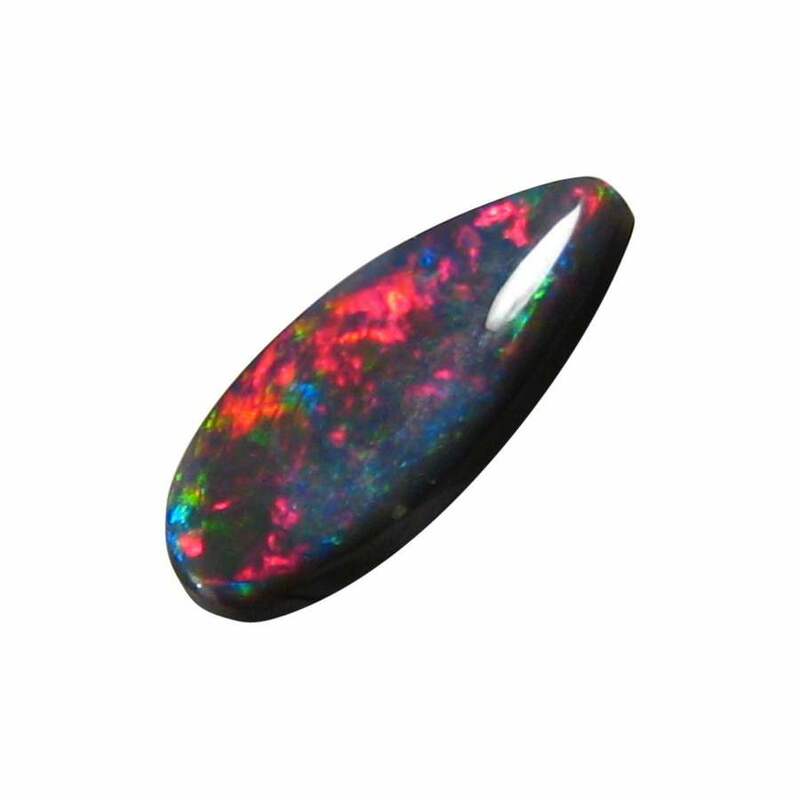 The Black Opal shows mainly Red with some Blue which are very bright in a Floral play of color which the video below will show. 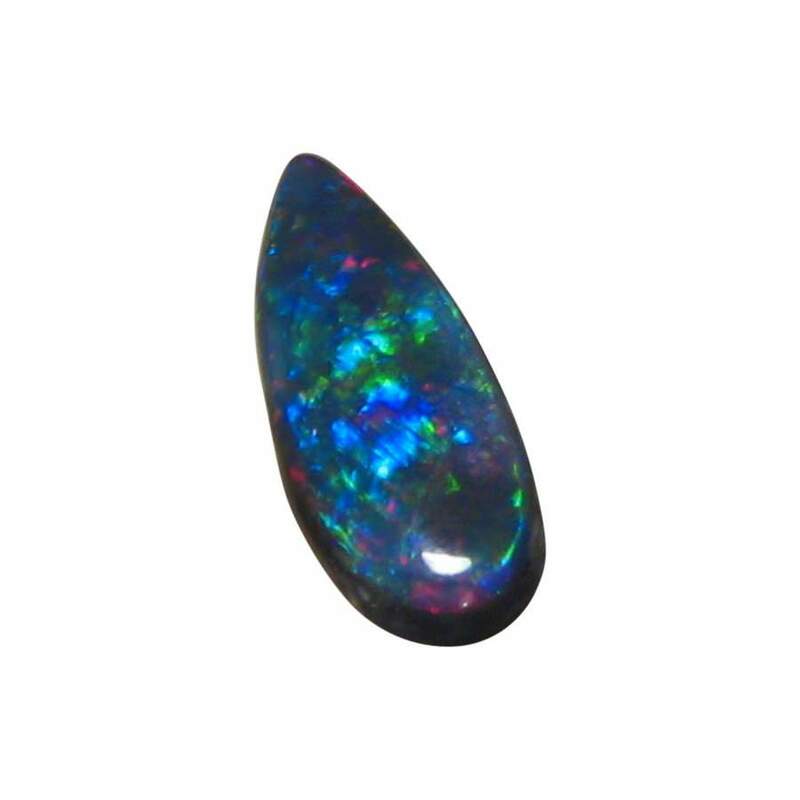 Finished to a high polish with a flawless top, this quality Black Opal is ready to set in jewelry and inquires are welcome if you would like this Opal in a ring or pendant.